Bridgestone wants to hear from YOU! The company that looks to consumers for feedback more than any other in creating golf balls, wants THP Members to try out the new line and report back with your thoughts on the ball. 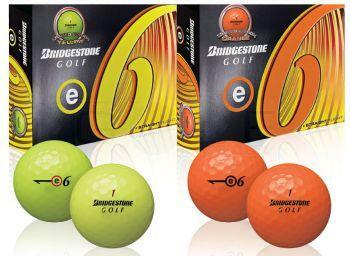 Bridgestone is going to provide THP with a few dozen golf balls from their new lineup coming this fall. The new lineup consists of new Tour B330 & B330S as well as the new E series of golf balls including the e6 which will be out in both orange and yellow. Starting next week, THP will send out sleeves of the new Tour B330 & B330S to 10 or so golfers and their job will be to report back their findings on what they like and dislike (if anything) about the golf ball. Then about 2 weeks later, THP will send out sleeves of the new Yellow & Orange e6 golf balls for more golfers to try out and report what they like and dislike (if anything) about those as well. Being that this is being done by the KING of Ball Fitting, we want to make sure that we find the right ball for the people doing the testing. So we have multiple golf balls that could fit your golf game perfectly. If your swing speed is over 105, you could take a look at the new Tour B330 or B330S line. If you struggle off the tee a little bit and want to try to keep it straighter, then you could take a look at the new e6 line. The best way to check is to click on the yellow banner in the forum section of THP where you and chat with a B-Fit specialist and have them talk you through which might be the best golf ball for you. Then come back to this thread on the THP Forum and enter to be a THP tester before these hit the stores. There are, however, certain criteria that must be followed to be eligible to receive a sleeve of balls. So if you are not able to do so, next testing might workout better. 1. You must be able to give these a test drive on the course within 5 days of receiving the golf balls. 2. 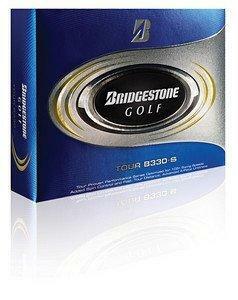 You must put together a write up with your thoughts on the Bridgestone balls you receive within a day of testing them. 3. Please provide honest feedback as quickly as possible. We will choose about 10 testers or so for each line. To request a sleeve of the Bridgestone golf balls please respond in this thread on the THP Forum with the information requested below. Failure to include ALL info will result in entry not being counted. 1. What Bridgestone Ball would you like to test? 2. 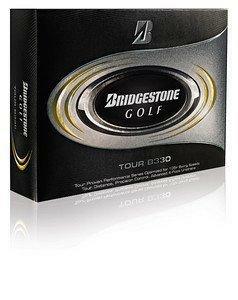 Have you gone through a Bridgestone Fitting? 3. Live fitting or Online via B-Fit? 4. What is your current golf ball? We will notify people in this thread if they have been chosen to be a tester for THP & Bridgestone Golf and the new lines coming out very soon. Ryder Cup Rain Jacket & Bag Troubles = Watergate? I would be interested, too! i think it’s great that bridgestone wants to participate in this fashion. they truly understand customer service and the belief they have in their product is phenomenal. Bridgestone once again is showign that they ‘get it.’ Willing to suject themselves to direct user feedback and testing is a great and confident move! Guys, please read the rules carefully. Responses must be in the THP Forum at the link provided. I have completed my testing of the B330 ball. I am a couple of days late (sorry) but have had personal extenuating circumstances. I had requested the B330 S or B330 RXS. I was surprised to get the B330 but have given it my best effort. Right off the bat I was concerned because the box states that the ball is for swing speeds > 105 and I am more in the 90 mph range. I was also concerned that the ball had medium spin on short irons and was medium hard/soft. I really prefer a soft ball and generally make my score on short shots around the green with controlled chips and pitches. My first testing was done at the practice green. My first reaction was that the ball was harder than my Pro V1. Certainly most of the feel off the putter is from the sound and I prefer the softer sound. Chipping also felt like a harder ball and did not spin quite as much as the Pro V1 and this is my bread and butter. When I finally got on the golf course I have to admit my earlier impressions were confirmed; I could not spin the ball on short chips and pitches like I wanted. Not blaming the ball but I shot my highest score of the year. One BIG and pleasant surprise; I actually felt that I drove the ball about 10 yards farther than with the Pro V1. Since the ball is marketed to players with higher swing speeds I was shocked. In summary, I will not be switching from my Pro V1 to the B330.